Italian cinema's popularity has been gaining ground over the last decade, especially in America. With film festivals and series popping up all over the country, Americans are getting numerous opportunities to see some of the best contemporary movies being made in Italy today. One of the oldest and most respected of those festivals is N.I.C.E. (New Italian Cinema Events). I've been attending N.I.C.E. for over a decade now and I can attest to the quality and diversity in its lineups year after year. The festival celebrated its 25th anniversary in November, giving me a great reason to catch up with one of its organizers, Maya Breschi, for an in depth look at what N.I.C.E. is all about. Let's start at the beginning since you are celebrating the festival's 25th anniversary this year. How did the festival get started? How has it evolved to what it is today? N.I.C.E. is a Florence-based non-for-profit cultural organization founded by a group of film professionals back in 1991 as an evolution of the at-the-time Florence Film Festival, to become, over the past 25 years, one of the most relevant and appreciated international showcases of the up-and-coming Italian cinema happening annually in the United States, Russia and China. In addition to holding annual festivals abroad, N.I.C.E. facilitates the regular meeting between the Italian directors attending the festivals and selected local producers and distributors, serving as crucial trait-d’union for the access of the most valuable Italian film projects into the global market. N.I.C.E. 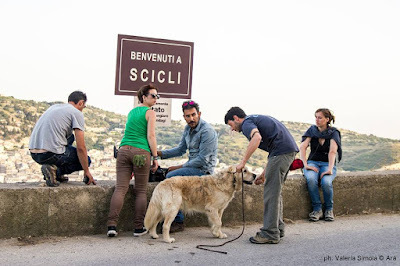 also regularly invites all Italian filmmakers traveling with their films to hold interactive meetings at a selection of local universities and academic institutions as a unique opportunity for the local students to interact informally with a new generation of Italian filmmakers. As part of our mission, N.I.C.E. is also committed to promoting the territory and culture of the Tuscan Region through the “Città di Firenze” Award. Presented to the winning film of each year’s N.I.C.E. competition, the prize is assigned, through voting ballots, by the festival’s U.S. audience, with the aim to draw the national and international attention to quality and independent Italian films. Over the last 25 years, do you know if there were waves of popularity with Italian cinema in America? It seems that in this period, it's gaining popularity and there are many new releases that are getting U.S. distribution. 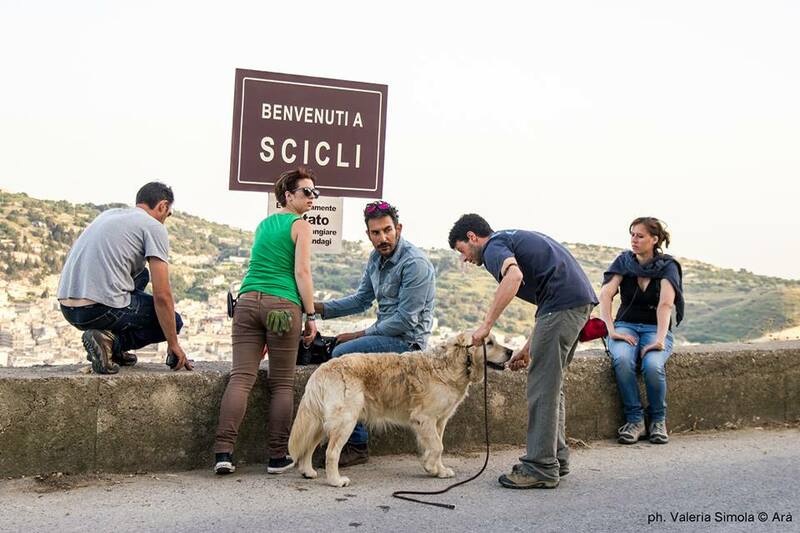 U.S. audiences seem to have had a love-hate relationship with Italian cinema in the past 25 years, which is directly reflected by the country’s fluctuating distribution of Italian content. Among some of the most popular yet very often unreleased Italian films, I would like to briefly mention and pay tribute to the 25 titles that won the N.I.C.E. City of Florence since 1991: Mediterranea by Jonas Carpignano (2015), The Medicine Seller by Antonio Morabito (2014), Out of the Blue by Edoardo Leo (2013), Shun Li and the Poet by Andrea Segre (2012), The first Assignment by Giorgia Cecere (2011), 18 Years Later by Edoardo Leo (2010) , Sea Purple by Donatella Maiorca (2009), Lessons in Chocolate by Claudio Cupellini (2008), The Ball by Claudio Antonini (2007), What the Hell Am I Doing Here! 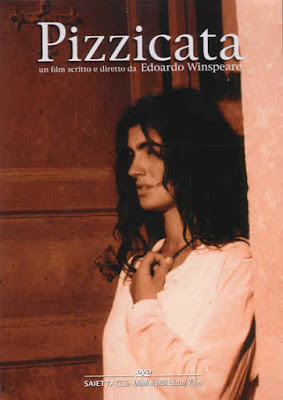 By Francesco Amato (2006), Unnatural by Alessandro Tofanelli (2005), Runaway by Andrea Manni (2004), I Am Emma by Francesco Falaschi (2003), Let’s Have the Truth about Love by Francesco Apolloni (2002), Rebels by Chance by Vincenzo Terracciano (2001), An Affair of Love by Gianluca Maria Tavarelli (2000), In the Beginning There Was Underwear by Anna Negri (1999), Belleville by Marco Turco (1998), Pizzicata by Edoardo Winspeare (1997), Pianese Nunzio: 14 in May by Antonio Capuano (1996), Strange Stories by Sandro Baldoni (1995), Like Two Crocodiles by Giacomo Campiotti (1994), Manila Paloma Bianca by Daniele Segre (1993), Death of a Neapolitan Mathematician by Mario Martone (1992). There are a lot of festivals popping up dedicated to Italian cinema. What sets N.I.C.E. apart from them? The above-mentioned list of the 25 past recipients of the N.I.C.E. City of Florence award is in itself a pretty eloquent description of the festival’s uniqueness as a long-lasting showcase of contemporary and independent Italian cinema. By showcasing the directorial debuts of a number of artists who have built their recognition worldwide over the years, N.I.C.E. has the long-lasting mission to present a diversified selection of films in competition, offering entertainment, while opening a window on the complex architecture of Italy’s modern society. Together with special tributes and retrospectives dedicated to selected masterpieces of the Italian film history, each year’s seven feature-length debut films are selected among over 80 titles produced in Italy yearly and screened in local theatres during a series of film festivals and cultural exchanges across the United States, Russia and China. The last edition had some great diversity. What was the process of choosing the lineup? N.I.C.E.’s selection committee, featuring well-respected international festival programmers and film critics, does an incredible job every year in going through the latest Italian film production to select the seven most valuable and deserving new voices in contemporary Italian cinema to be showcased internationally through N.I.C.E.’s annual festivals. Our long-lasting challenge and mission is to offer a diversified and high-quality programming in tune with the taste and sensitivity of our international audiences, while showcasing and supporting Italian newcomers and their first or second feature-length films across the United States, Russia and China. The very nature of the N.I.C.E. competitions is to feature the work of first and second-time directors who are as talented as they are often unknown to the local public and industry. Three our of this year’s USA competing films were comedies: God Willing (Se Dio Vuole) by Edoardo Falcone, Partly Cloudy (With Sunny Spells) (Tempo instabile… con probabili schiarite) by Marco Pontecorvo and starring John Turturro, and Italo by Alessia Scarso. In addition, we have included four dramas: Chlorine (Cloro) by Lamberto Sanfelice, Io, Arlecchino by Matteo Bini and Giorno Pasotti, My name is Maya (Mi chiamo Maya) by Tommaso Agnese, and Mediterranea by Jonas Carpignano. N.I.C.E. homeland, Tuscany, did also have a special place in this year’s programming, being the setting for films such as Wondrous Boccaccio by Paolo and Vittorio Taviani and Leopardi (Il Giovane Favoloso) by Mario Martone, and other special events in San Francisco feature Mia Madre by Nanni Moretti and Youth (La Giovinezza) by Oscar-winner Paolo Sorrentino. What were some of the highlights of the 25th edition? Welcoming and meeting John Turturro for our opening night screening of Tempo instabile by Marco Pontecorvo at the SVA Theatres on November 20th was indeed one of my personal highlights this year, followed by our sold-out screenings at the Anthology Film Archives over the weekend. Thanks to this year’s unprecedented audience attendance and support, we really did have a wonderful 25th anniversary in the city! What do you see in the festival's future? Our US showcase, held in New York City, San Francisco and more recently in Washington D.C. and Philadelphia in mid-November, represents the oldest series to have ever been organized by N.I.C.E. and the first to take place every year (followed by the festival in Russia, generally happening between the months of March and April). Thanks to a precious and long-lasting partnership with the San Francisco Film Society, N.I.C.E. has become the one and only film series focusing on contemporary Italian cinema to be successfully held and yearly awaited in San Francisco and we look forward to presenting a new selection of Italian film debuts next year. Same goes for our showcases in Washington D.C. and Philadelphia, successfully happened for the second time this year. In vibrant and ever-changing New York City, N.I.C.E. has held screenings and events in a wider selection of independent film venues, including the Anthology Film Archives, Tribeca Cinemas, MoMa, Quad Cinema, Angelika Film Center, Papp Public Theater, the IFC Center, The Lincoln Center, BAM Rose Cinemas, and AMC, and we are now on the lookout for the next popular location for next year, as well as a possible East coast film partner to officially welcome onboard. In addition, we are considering expanding our U.S. tour to more cities, probably on the East coast and, possibly, to add another country too. How can filmmakers submit their work for upcoming editions of N.I.C.E. ?